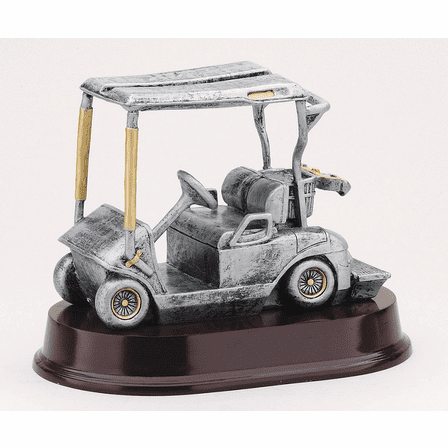 FEATURES/SPECS The whimsically-realistic detail of a traditional golf cart is the theme of this delightful golf tournament trophy. It's made of resin, and detailed in metallic shades of gold and silver. 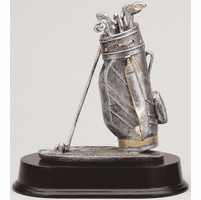 This is the perfect trophy for your next annual event at your country club, organization fundraiser, community league, or corporate competition! 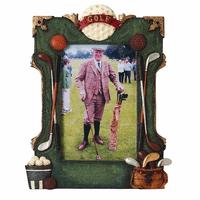 The overall height of 6 '' ensures it can easily be displayed on the mantle, shelf or desk as both a trophy of a game well-played and an artistic sculpture representing one of your tournament winner's favorite things! 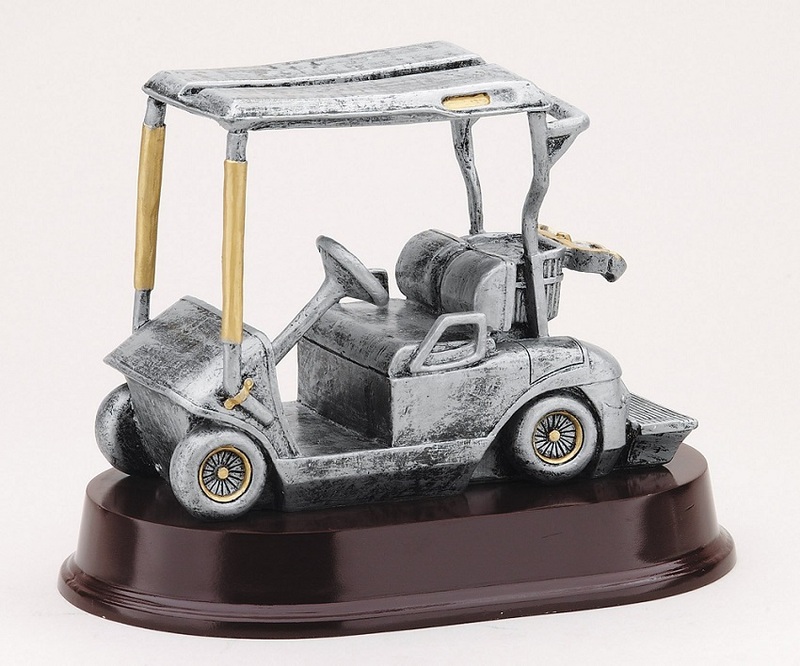 The sculpted golf cart is attached to a piano-finish mahogany base, with a copper-tone metal plate for engraving the details of the tournament. The engraving is free, and can include a logo if you want to add one! We will package your engraved trophy in an attractive gift box and ship it out, usually within 24 hours of your order! We know your tourney winners will love this award, and we are happy to offer you our full Satisfaction and Performance Guarantee! 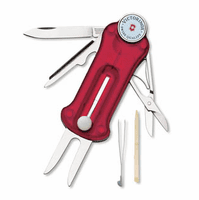 Item was very well received for who it was purchased for; a client, which prompted a warm appreciated thank you.